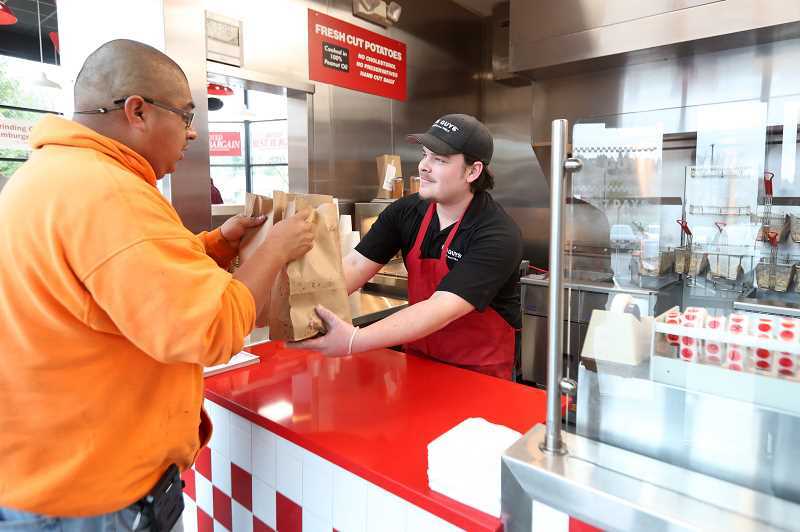 The West Linn Five Guys restaurant was only closed for three weeks while it underwent significant renovations, but it didn't take long for hungry residents to start missing it. 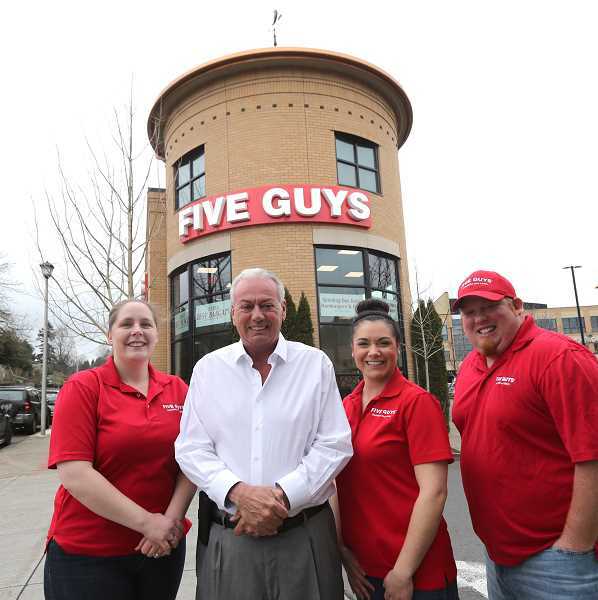 "When we closed down and all the windows were closed ... people were still trying to get in," said Bill Marble, who owns the West Linn Five Guys at 2050 8th Avenue as well as 11 others in the Portland and south Washington areas. "They wanted to know when we were opening and that kind of thing. We had a lot of activity." 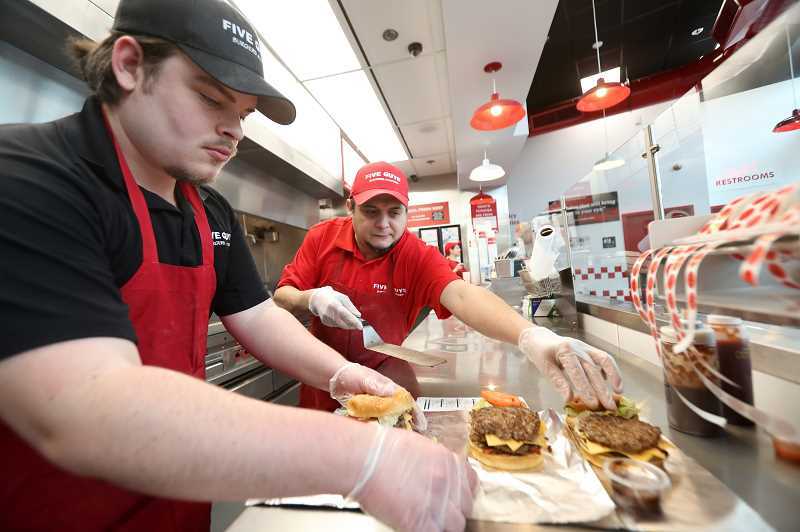 Five Guys officially reopened Monday, Feb. 18, boasting a slew of renovations that are seen as something of a 10-year anniversary "refresh" for the restaurant that opened in 2009. "Five Guys requires every 10 years to do a remodeling, bringing the store up to current standards — which keep changing," Marble said. "A rep from Five Guys comes down, reviews the store, we talk about the necessary changes and standards ... (and) put a game plan together." The first changes people might notice are the new signs outside. "It's super visible from the (I-205) freeway now," Operating Supervisor Meg Ryan said. "A lot better (than before)." But most of the changes, naturally, were made inside the restaurant itself. Five Guys still has its familiar red and white-themed paint job, but it's all been refreshed. "We put a whole new floor in, put all new counters in, we converted to the new style Coke machines that are pretty innovative, (got) all new furniture," Marble said. "We put stainless on all the walls in the kitchen, put a different type of floor in the kitchen and back (area). (And) we painted." Marble added that while the restaurant is open again, some minor additions are yet to come. And, of course, nothing has changed with the famed burgers, fries and shakes. "It's the new look, the new Five Guys look," Marble said. "We call it 'The Refresh.'"